FedEx CEO Fred Smith is not a fan of either presidential candidate. In his company’s quarterly earnings conference call Tuesday, Smith laid out concerns with both major parties’ presumptive nominees, Republican Donald Trump and Democrat Hillary Clinton, and their impact on American businesses like FedEx. “I would say, we would have a hard time putting up a list of the things that don’t concern us given the two candidates positions, but obviously we’re concerned about the anti-trade rhetoric and a lot of the anti-business positions and it’s very worrisome,” said Smith. 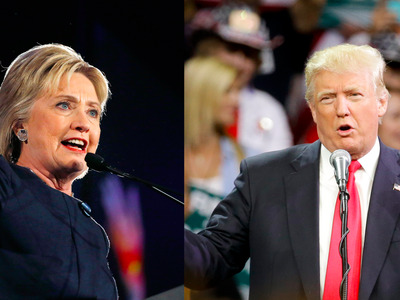 Both Clinton and Trump have expressed certain anti-trade policies. On Clinton’s side, she has reversed course on the Trans-Pacific Partnership and now opposes the free trade policy. Trump, for his part, has proposed high tariffs on some of the country’s largest trade partners such as Mexico and China. These policies could cause a slowdown in trade and do not bode well for FedEx in Smith’s opinion. “We talk about it many times, I mean, China has been quite mercantilist on its trade policies, but the way to deal with that is to negotiate which I don’t think means to threaten them or take all of the huge benefits of trade and throw them away,” said Smith. Smith also noted that while both candidates have pointed to the loss of manufacturing jobs due to globalization, the number of jobs added by FedEx and other globally-focused companies due to expanded trade gets ignored. “We have thousands and tens of thousands of highly compensated people working for FedEx in the United States who are involved in trade, pilots, mechanics, customs clearance people, pickup and delivery personnel, that’s the story that never gets told when the tragedy of a local plant closing gets put on the TV,” he reiterated. So regardless of who wins the presidency in November, Smith thinks there are worrying trends in the candidates’ positions, and the push against trade from both sides of the aisle represents a negative for his business and the broader economy of the US.